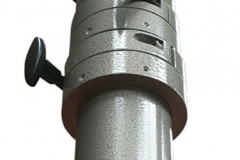 The Hilomast TPM Lightweight Push-Up Telescopic Mast (TPM) is a lightweight version of the Hilomast GRP. 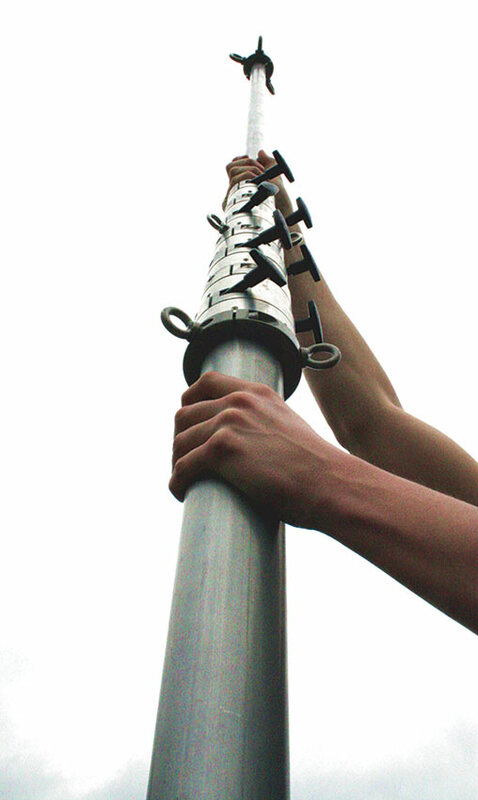 The TPM has been designed to be used as either a hand-operated push-up mast or as a pneumatically-assisted mast. Deployment of the pneumatic version of the TPM can be carried out by either using a foot pump, stirrup pump or a Hilomast air compressor. 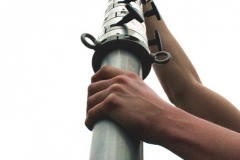 There are several mounting arrangements available for the installation of TPM masts. TPM masts can be mounted either internally or externally to a vehicle or building. For extending masts on open ground, base guy assemblies are available, which are best suited for green-field mounting. A Rapid Deployment Unit (RDU) is available for all sizes of TPM masts, which can be held under the wheel of a vehicle.